Picturesque canals, medieval churches, tempting national cuisine and plenty cultural attractions make up the city of Bruges. Stroll along cobbled streets and misty canal banks to discover medieval churches and ancient bridges in Bruges. Bonifacius Bridge is one of the city’s youngest bridges, as well as the most photogenic. This romantic spot gives you a stunning view of the Church of Our Lady. Step inside the church to see Michelangelo’s world-famous Madonna and Child. Just behind the church is the pretty courtyard of medieval Gruuthuse palace. This impressive mansion has now been transformed into the archeological museum of the city of Bruges. Pop into the palace and learn what city life was like between the 15th and 19th centuries. For another scenic walk, head to Minnewater lake, also known as the Lake of Love, in the south of Bruges. Legend has it that you will experience eternal love if you walk over the lake bridge with your partner. This pretty part of town is a good choice when you’re searching for hotels in Bruges for a romantic break. Enjoy the historic centre of Bruges, a UNESCO World Heritage site, its gothic architecture an integral part of the city’s identity. 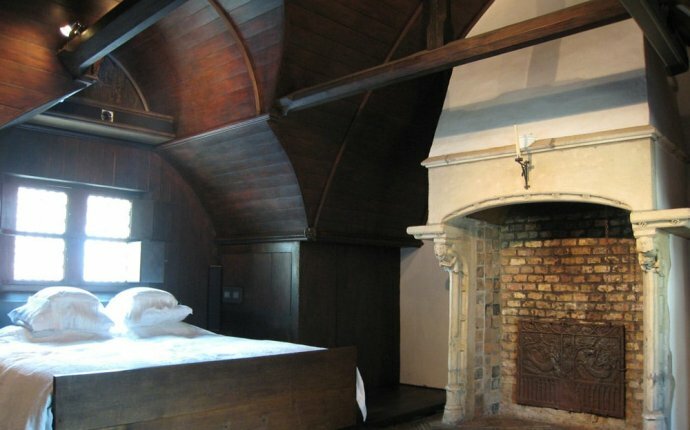 Start in the heart of the city where the Belfry of Bruges towers 83 metres into the sky. If you’re feeling energetic, you can climb 366 steps to the top of the tower, where you’ll be rewarded with breathtaking city views. The magic of medieval Bruges continues at Bruges’ Historium. Here, you’ll wander through seven themed rooms to experience the sounds, smells, sights, and tastes of Bruges in its Golden Age. The picturesque city of Bruges has been the backdrop for many film sets so it seems fitting that you can now watch films outdoors during the summer months. Head to the small village of Zeebrugge on the coast (only a train ride away) for free outdoor cinema screenings on the beach. Music fans should keep their eyes peeled for the up-and-coming Cactus Festival with top rock and pop artists. Also, not to be missed is the Bruges Beer Festival which has over 300 Belgium beers on tap for you to taste. In the run up to Christmas, Bruges Market Square becomes a winter wonderland filled with festive stalls, twinkling lights, hot chocolate and skaters gliding on the ice. Grab yourself a cheap Bruges hotel near the Market Square and you’ll be walking distance of the best festive events in the city. There’s plenty to keep foodies satisfied in Bruges beyond the mussels and frites. Look out for artisan shops including the Chocolate Line which sells chocolates handmade on site with classic and wacky flavours to try. Bruges even boasts the Choco-Story, a museum dedicated to the story of chocolate, from the chocolate drink of the Mayans to the chocolate bar of today.